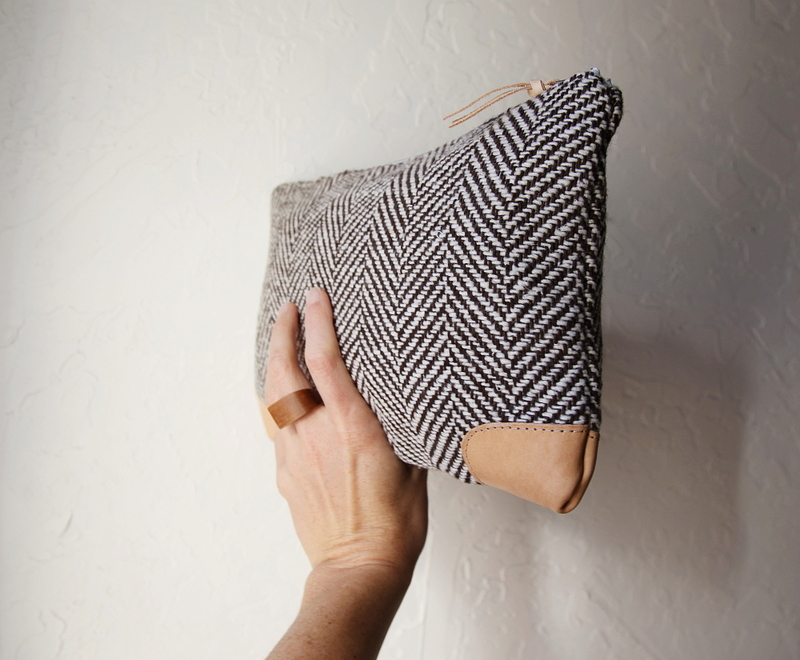 A new clutch in the shop, in time for sweater weather. I am crazy for this fabric! 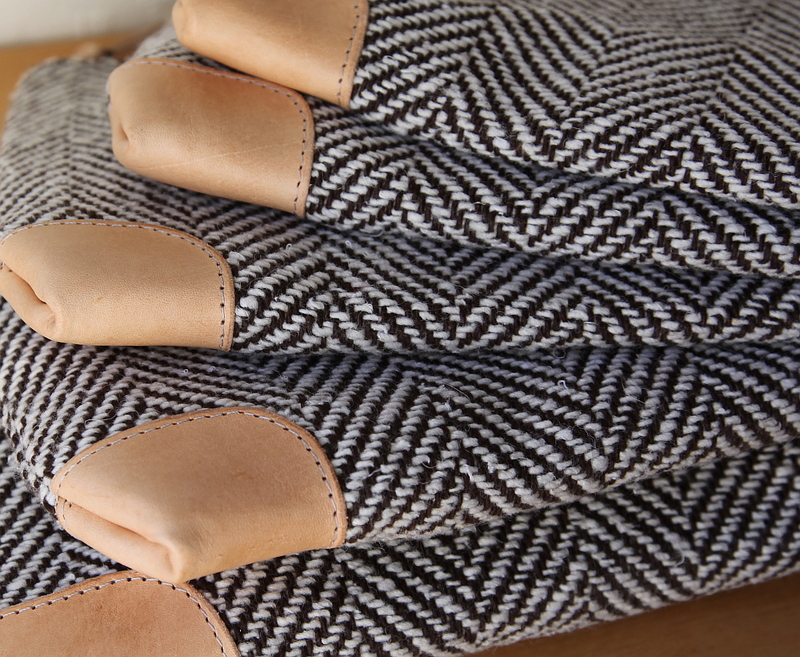 Made with herringbone wool and full grain veg tan leather. The first 2 available are lined with the last pieces of an old favorite hemp / organic cotton canvas. 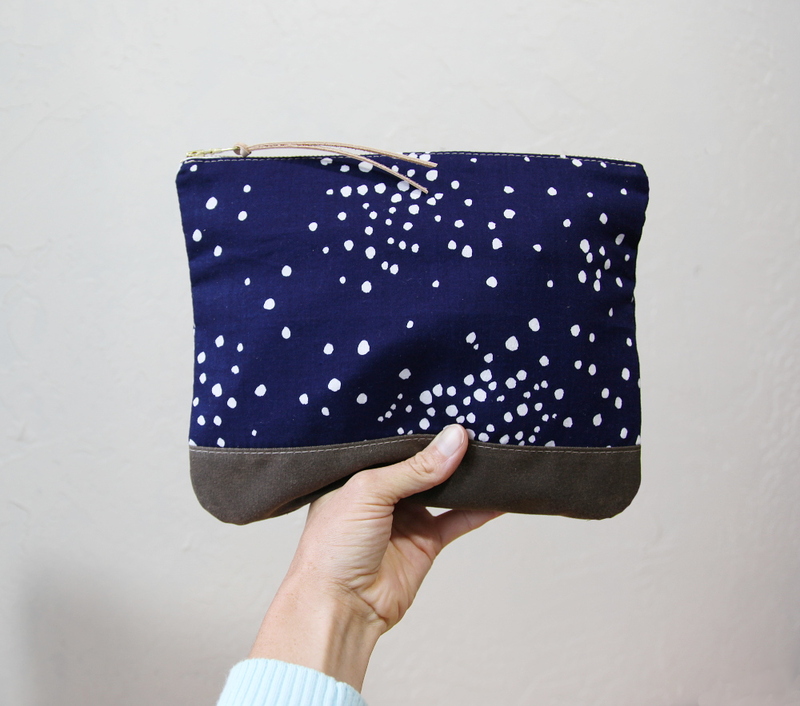 A couple new clutches are in the shop this weekend; two different prints and two different sizes. Both are made with limited edition cotton prints. 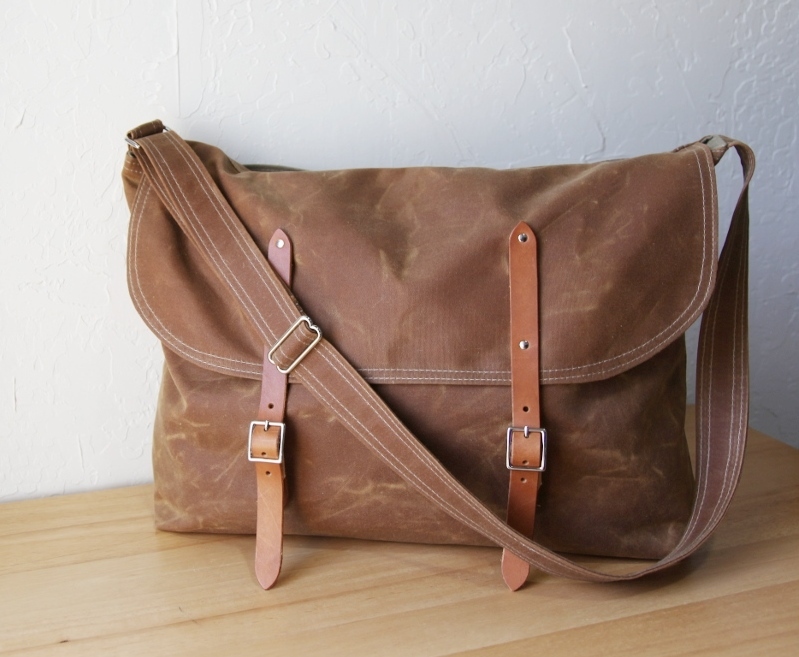 It’s been a long while since there has been a messenger bag in the shop. Here is my most recent take, with a lot of great features. And the clutch. 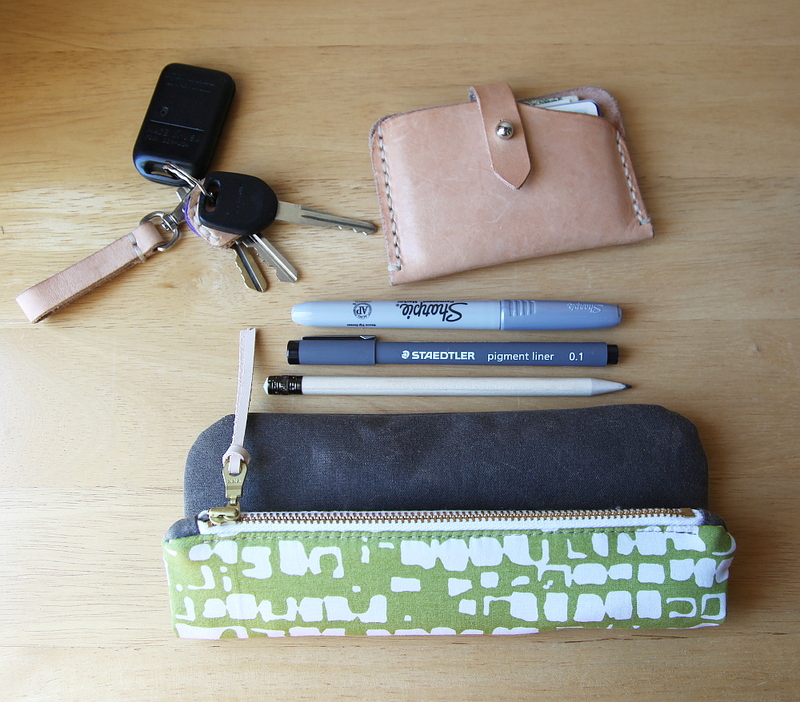 I started out making a large zipper pouch with some remnants I had, and it turned out to be such a great compliment to the foldover style that seems so popular these days. I am really loving the way these materials came together. Just the right about of compliment and contrast I think. 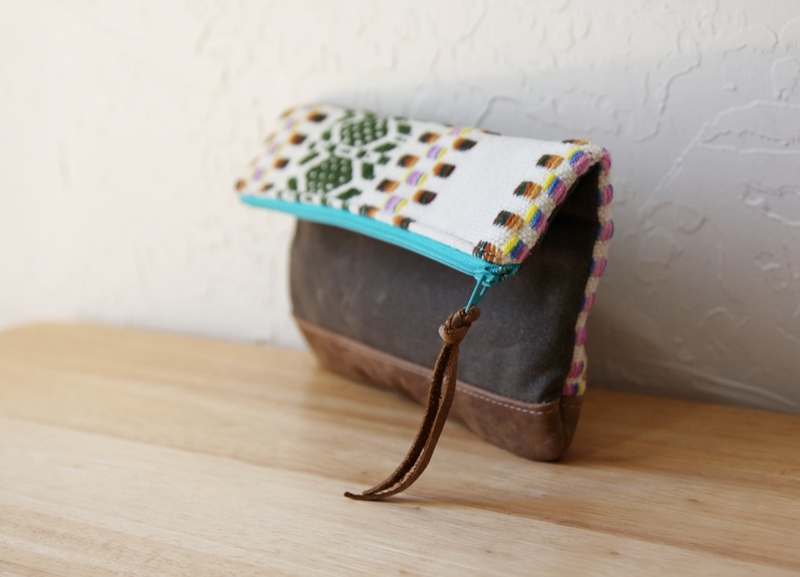 Also, there is one more small wool zipper pouch from the little batch of handwoven textiles I recently talked about. This is the last of them. That’s all for tonight. I hope your week has started out with ease. 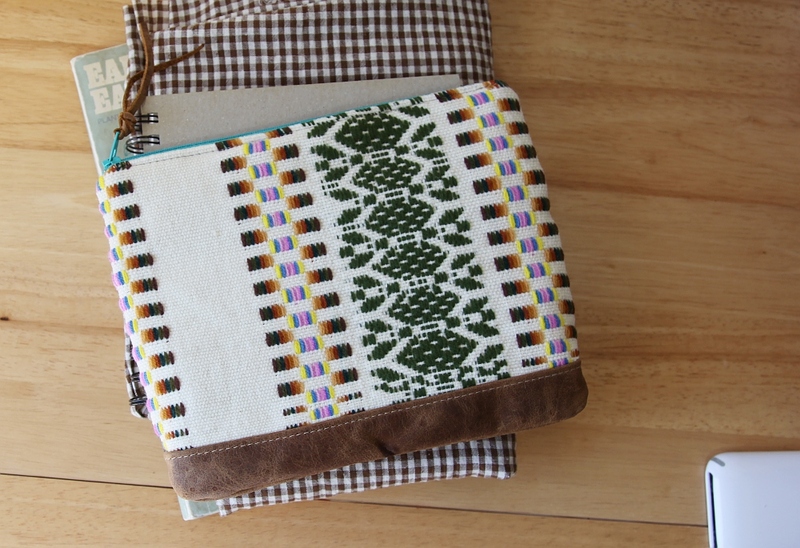 A little more plaid in the shop… This time a Pendleton wool and leather clutch – in a favorite fusion of vintage, re-purposed and organic materials. 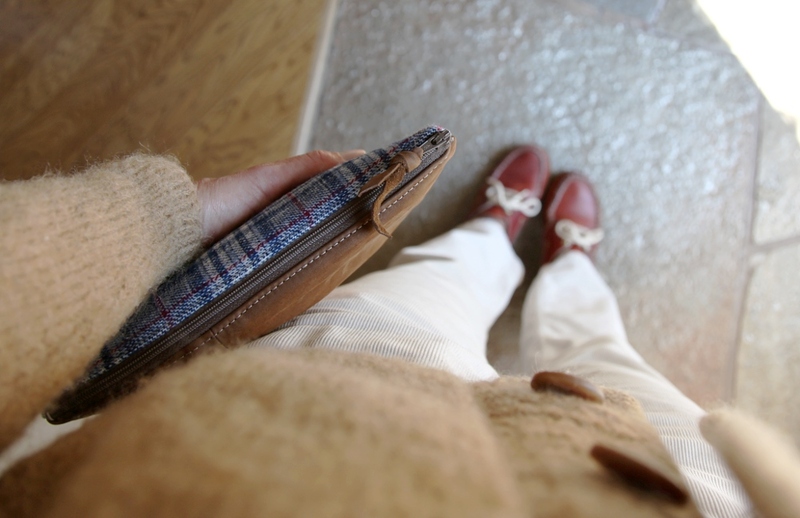 I’ve been enjoying combining vintage wool checks and plaids, beautiful salvaged leather, and linen. It just seems so perfect. Maybe even better than perfect. 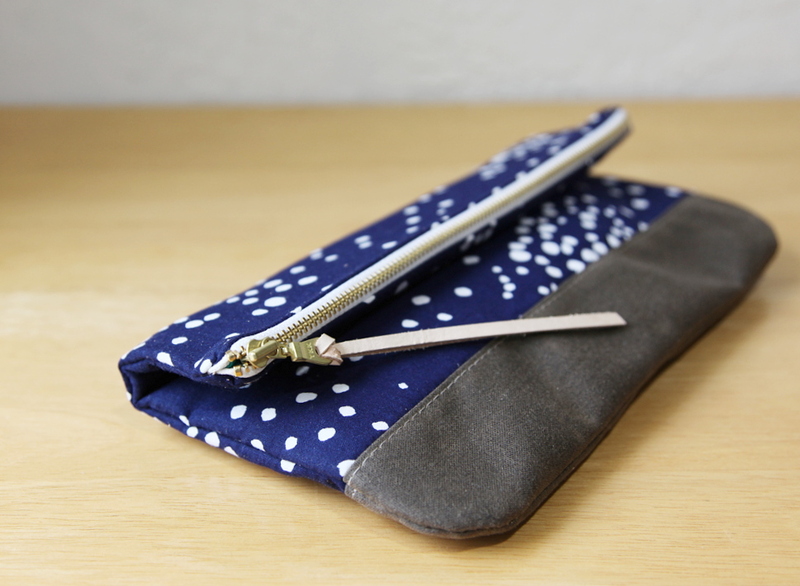 The Amesbury Bag and Clutch are available in the shop. 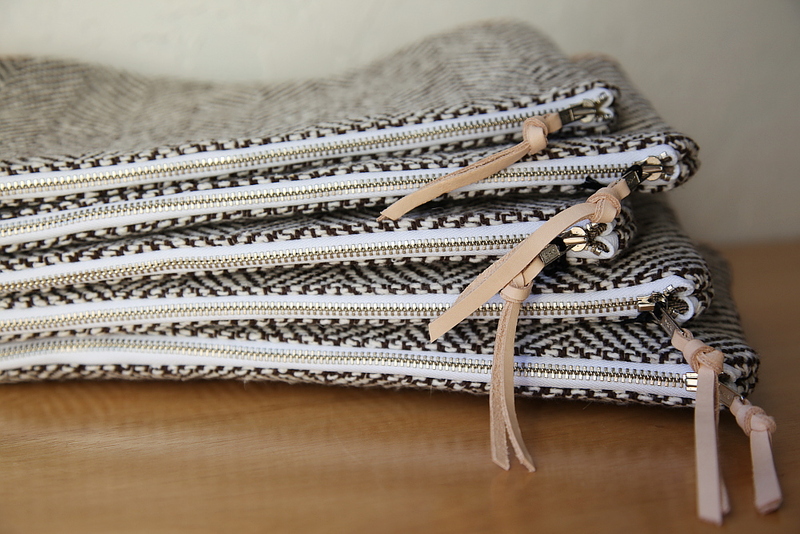 More Amesbury bags and clutches are on the way. They will all be limited in quantity. Some will be one of a kind. 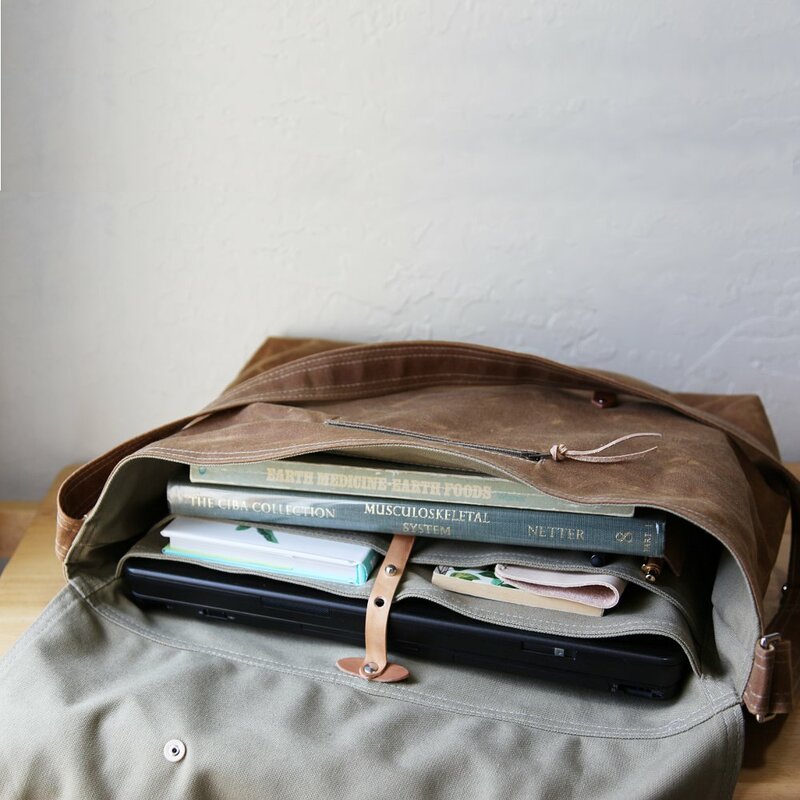 A new color for the camera bag is available now too. This rich plum feels so autumnal, don’t you think? I hope you all had a happy Halloween and a wonderful weekend! We enjoyed a beatiful afternoon walking on the riverfront, followed by a festive evening at a costume party. Tomorrow is the full moon. If you get a chance, remember to step outside in the night air and enjoy it, even for just a moment. 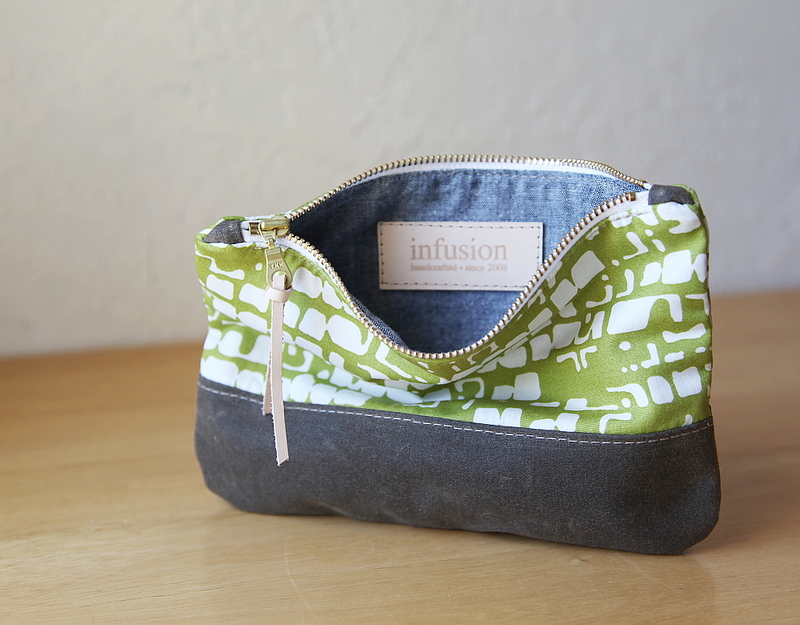 A little refreshment… I have just added the Mini Blossom Wristlet in Purple to the shop.